According to a new analysis by the IMI, Clean Air Zones are failing to deliver on electric car targets, with a national average of 8 electric cars per charging point across the UK. And only around 3% of all vehicle technicians are currently qualified to work safely on electrified vehicles - the vast majority of whom work in manufacturers’ franchised dealerships. The government has confirmed that the sale of new vehicles with petrol or diesel internal combustion engines as their only source of propulsion will be banned from 2040, with some MP’s lobbying for an earlier introduction date of 2032 – which has already been mandated by the Scottish Parliament. Yet, the IMI has found that there are serious gaps in the infrastructure to support these targets. Disappointingly, the UK’s ultra-low emission cities are in a race to catch up with demand after failing so far to deliver a sustainable infrastructure. Diesel sales are rapidly declining and the take up of electrified alternatives, including full electric (EV) and plug-in hybrid (PHEV) vehicles, are estimated to exceed 1 million on UK roads by 2020. But there are currently only 18,000 charging points across 6,500 locations. The world’s largest vehicle manufacturer, Volkswagen Group, has announced that it will launch a new electrified vehicle every month from 2022 and that 20% of its new vehicles will be zero emission by 2021 – equating to 2.2m vehicles. Other manufacturers are following suit, as evidenced by the plethora of new plug-in models announced at the recent Paris Motor Show. So, the IMI is calling on government to invest more on a reliable and accessible infrastructure. But it isn’t purely charging infrastructure that the government needs to focus on. The IMI believes government must also focus its attention on the sustainability of the businesses who are servicing and repairing these new vehicles. 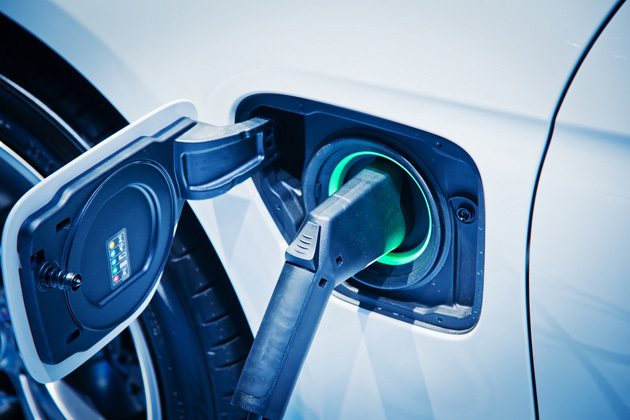 Currently, as demand for electrified vehicles continues to increase, there is going to be a serious short-fall in adequately trained technicians – especially as some of the EV’s and PHEV’s already on the UK’s roads start to change hands and the owners look beyond the franchised dealer networks to find cost effective service and maintenance solutions. With so few technicians in the independent service and repair sector qualified or equipped to work safely on the high-voltage systems of electrified vehicles, the IMI is working with government to establish national standards which comply with HSE requirements and meet the employer’s responsibilities under the Electricity at Work Regulations. “The recently published sales figures for electric and hybrid vehicles demonstrate that drivers are rapidly making the transition away from pure petrol/diesel engines. However it’s vital that government recognises the new skills requirements needed to underpin the successful move to this new technology – which is entirely different to the skills required to service and repair internal combustion engines.